Lint Buildup In Dryer Vent? While your home certainly has all sorts of projects that need to get done, don't let this one fall to the bottom of your list! The vent of your dryer is constantly accumulating lint and dust over time, and the more that gets trapped in it, the more of a fire risk it starts to become. The hot temperatures that are used to dry your clothing can cause the buildup to begin to melt and a fire can spark from this in no time. Aside from being a hazard, it also drains your energy! Continuing to use your dryer with a clogged vent means that it's much harder for the hot air to get through and dry your clothing, so the cycle will have to run longer in order to ensure they're not damp. This means higher energy usage, especially the more it adds up over time. How do you know whether or not it's time to get your dryer's vent cleared out? There are a few easy indications to keep an eye out for that can let you know. One is to simply find the vent and look for yourself to see whether it's choked up with dust and otherwise. You may also notice things like your clothes aren't completely dried after the usual amount of time and need the cycle extended in order to remove the dampness. Also, pay attention to your energy bill and whether it's slowly starting to rise. If you aren't aware of any other factors that might be causing this, it may be the vent. Our experts are happy to lend you a hand and get your vent taken care of before you know it! We'll be out as soon as possible and get straight to work on cleaning it with the best tools available. That way you know the job will be done thoroughly and will last. 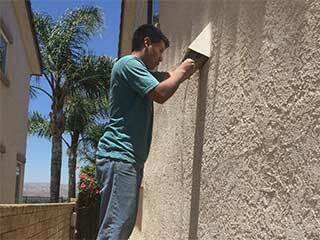 Call Air Duct Cleaning Escondido today and schedule your dryer vent cleaning appointment!